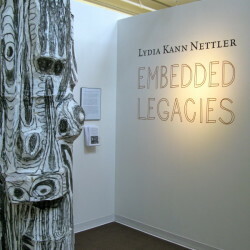 Embedded Legacies is a site-specific installation exhibited at Brandeis University depicting the artist’s family history and present life. 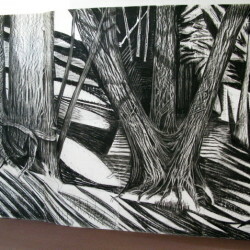 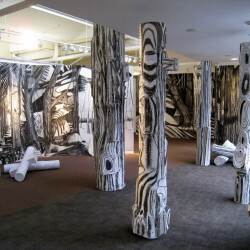 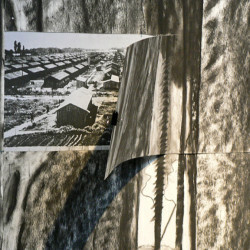 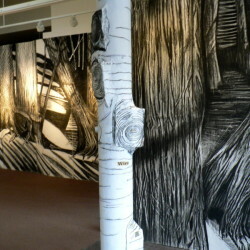 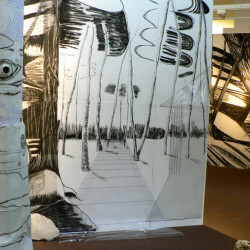 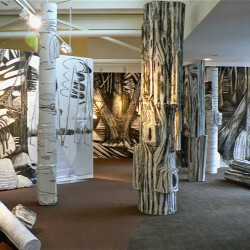 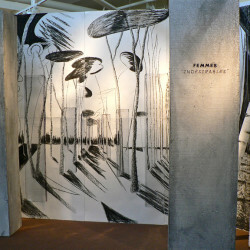 Black and white drawings and sculptural trees represent a reforested WWII French labor camp, which is contrasted with the safety of the woods of Western Massachusetts, the artist’s home. 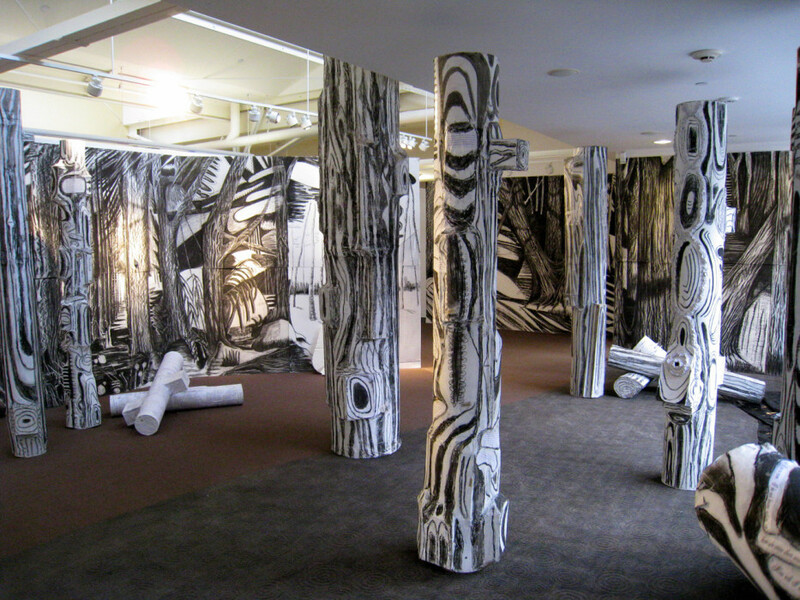 The artist is demonstrating the monumental gap between the life of her mother who survived the Holocaust in France and her own secure life in Massachusetts. 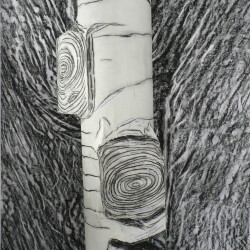 The intent is that the tree forms join these two lives, one who suffered and survived, and one who carries the history as the legacy of the second generation. 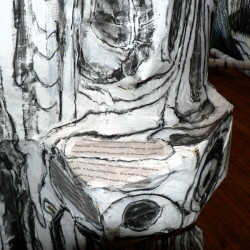 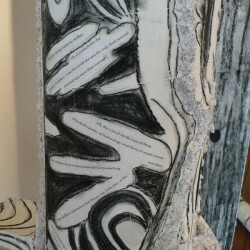 The sculpture is embedded with the artist’s prose.